It has been too long since my last Trend Alert post. Maybe it resurged with the popularity of the Mad Men series, or maybe the love for all-things-mid-century-modern brought it back to life. Whatever it was that resurrected the bar cart back into our homes it has taken off with a vengeance over the last two years. If you are looking for beautiful ways to style your bar cart, then you have come to the right place! 10 Styled Bar Cart Ideas & Tips. 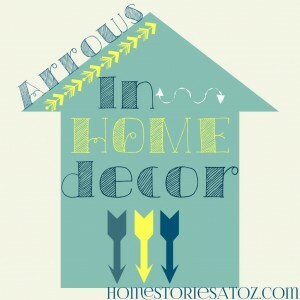 Click ---------->NEXT to see the gallery. Wondering how to stock your bar cart? 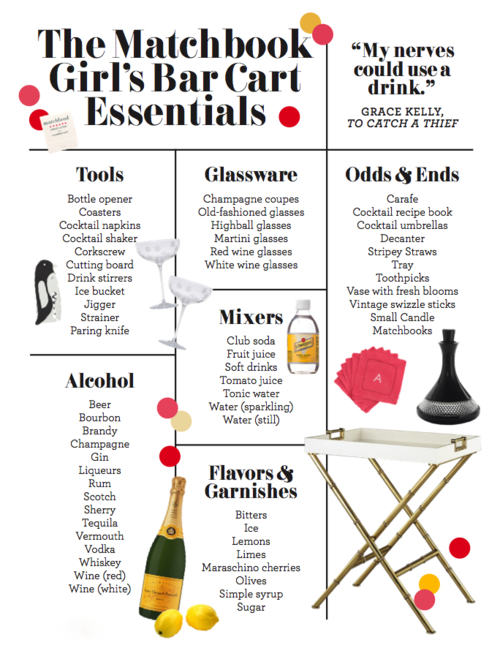 Here is a fantastic list via Matchbook showing all the necessary accouterments needed for the perfectly stocked bar cart. Hello! Can you advise me please where can I buy such a Bar Cart? Thank you a lot! I’m thinking of buying one as a Christmas present for the hubs. It would obviously be for me too :). We have the perfect little nook in our dining room for one too. 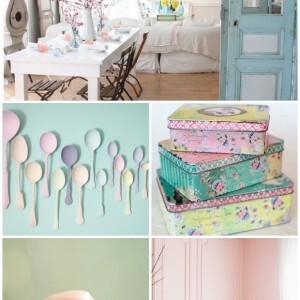 Love this Bar Cart post and boy are you right on the Trend. 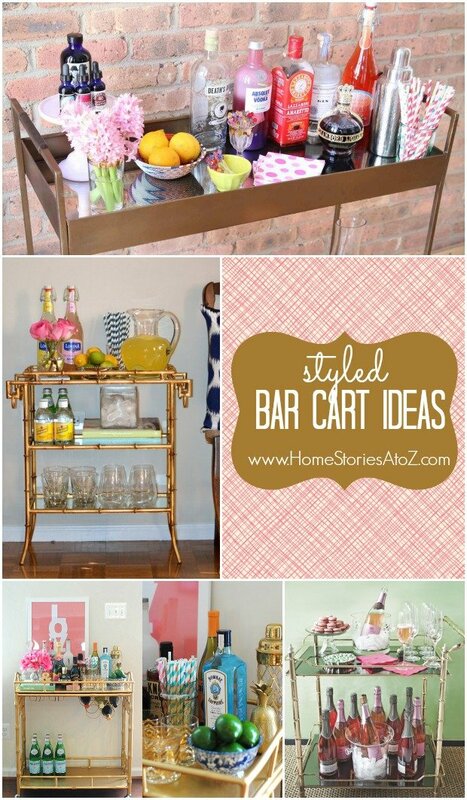 I have to say one of my favorites is from baby changing table to bar cart. It is a little bit of a giggle. To think of the switch, when the baby is grown past the changing table it is a great transfer, besides after a busy day with a toddler a bar cart might be necessary to wind down. LOL Seriously it is a smart idea, and with the styling you have shown us we can now be prepared for a party, without feeling unsure of what theory, or style to create for different parties of the holiday season and beyond.. Thanks Karen! I think the changing table to bar cart is a creative upcycle, but I’m honestly not sure I could do it. Our changing table saw so many blow out diapers and other bodily baby fluids that I don’t think I could get past it psychologically! LOL!